Launched in 2008, MEST – which last month announced its class of 2019 – is a pan-African training programme, seed fund and incubator for technology entrepreneurs in Africa, providing critical skills training in software development, business and communications. Applications are open until 8 February 2019 for the programme, which will offer successful applicants in-depth training and mentorship, access to a global network and the opportunity to build the next generation of global software companies. 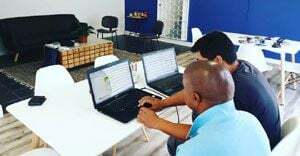 The training is delivered by global experts and includes extensive hands-on project work, as well as mentorship from successful entrepreneurs, CEOs and other executives from Silicon Valley, Europe and Africa. The programme culminates in an investor pitch for seed funding and the opportunity to grow a business out of one of the pan-African MEST incubators in Lagos, Accra, Cape Town and, soon, Nairobi. Previous successful graduates include Winnie Akoko of Anitrack, Sakhile Xulu of Qisimah, Kena Amoah of Kudobuzz, Kelvin Nyame of MeQasa, and Segun Adeyemi of Amplify.